What Exactly Is Home Health-care, and What Does It Offer To Seniors? The term ‘home health care’ is prevalent in society today, and while the term may certainly seem familiar, very few people understand what types of benefits and services are included – or not – in home health care. OptimumCare Home Care and other home care agencies and providers focus on enabling aging adults to remain in place, living independently as long as possible. 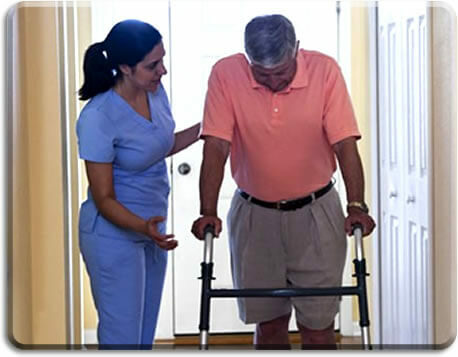 Home health care is, at its most basic definition, care that is provided to an individual in a home scenario. It doesn’t matter whether that home is a single-family residence, an apartment, a retirement community, an assisted living facility, or a nursing home. Sometimes, Mom or Dad may need a little extra attention or care than staff at facilities may be able to provide. Not only that, due to continually rising health care costs, many seniors avoid leaving home as long as possible. Unfortunately, many of those seniors are unable to drive themselves to medical appointments, go shopping, or take care of housework like they used to. That’s where a home health care agency comes in. Home health care agencies like OptimumCare Home Care provide non-medical as well as some medical-based health support services that include but are not limited to personal services, medication reminders, companionship services, and assistance with activities of daily living (ADLs). Such agencies also help provide compassionate care for those dealing with incontinence, catheters, or ostomies. Mobility issues and cognitive impairment are some of the most common issues that require extra assistance at home. Unfortunately, many family members or adult children of aging parents are unable to provide the attention and care that an aging parent needs. This is not due to lack of concern, but because of work responsibilities, family and child raising obligations, and so forth. The good thing about home health care such as that provided by OptimumCare Home Care is it it’s possible to cater services based on current and foreseeable needs. For example, you may only need someone to help Mom with laundry, light housekeeping, and shopping once a week, while Dad, due to cognitive impairment caused by dementia, and may require 24-hour daily oversight. We understand that making the decision to bring a stranger into Mom or Dad’s home isn’t always easy. Mom or Dad may not feel they need extra help, support, or supervision. Others are okay with it, as long as they can remain in control. When searching for qualified providers, look for those that create individualized care plans for care recipients.